Is Tidewater Storage Part of Your New Year’s Resolution? 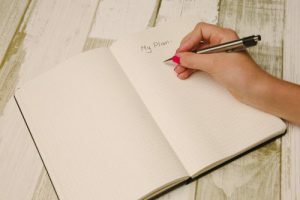 Making a to-do list for 2018? Add storage rental to your resolutions! Thinking about decluttering your home as your New Year’s resolution? Tidewater Drive Storage Center is the perfect place to look into if you aren’t sure which of your possessions you should keep or throw away. If you still need help deciding whether or not our Norfolk storage facility is the place for you, here are a few reasons why you should rent from us in 2018. It’s inexpensive. People delay putting their possessions into storage because of the cost. Storage units can be pricey, but our units start at prices that amount to dollars a day, plus the first month for new renters is only a dollar. No matter what size unit you’re looking for, Tidewater Drive has an array of units that can fit any budget at a reasonable price. Use our free moving truck. Moving can be a pain, especially if you have to go back and forth from your home to the storage unit. Tidewater Drive Storage Center offers you a free moving truck to assist you with your move. Let us help take the worry and stress out of moving your possessions into storage with a truck rental that reduces wear and tear on your car. Check out our great specials. Along with the free moving truck and $1 for first month’s rent, we offer other great specials. We also give active duty military and their families a special monthly discount. Tidewater Drive knows how stressful change of orders can be, and we want to help by offering long-term and short-term storage options to people stationed in Norfolk. Declutter your life by taking advantage of Tidewater Drive Storage Center’s $1 rent special. You’ll be able to start off the New Year without worrying about breaking the bank. Contact us today for more information.